Their robes got some layers of grey. The "armour" will be golden. 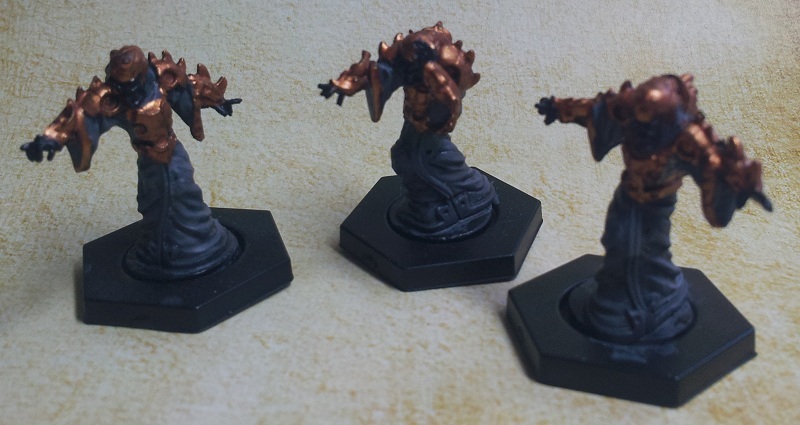 I made a brown (GW Mournfang Brown) undercoat, followed by the first layer of gold (GW Gehenna Gold). And the last step i managed in the time, the little one took its nap, was washing the armour parts (GW Agrax Earthshade). The last thing to do will be the skin parts, which i plan to make in a red color.